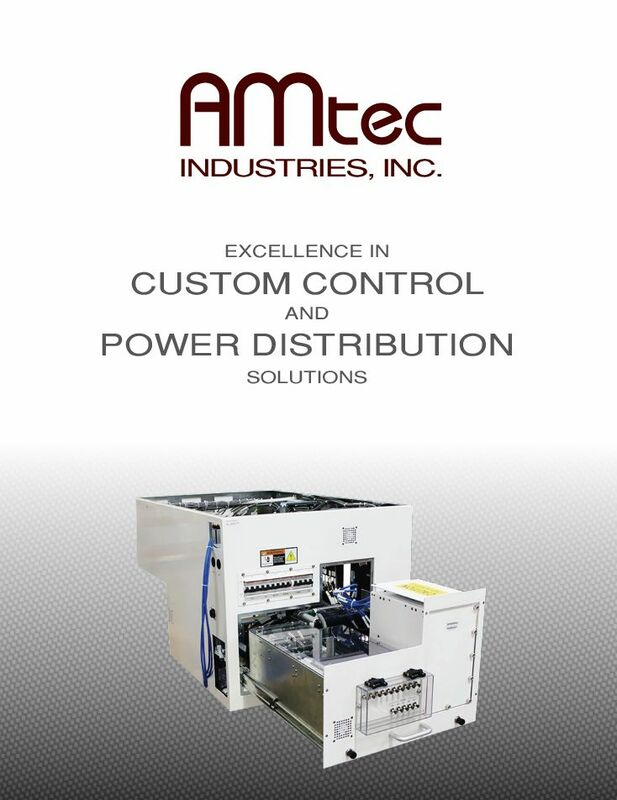 AMtec Industries Inc. is a leading custom control panel manufacturer located in the San Francisco Bay Area. 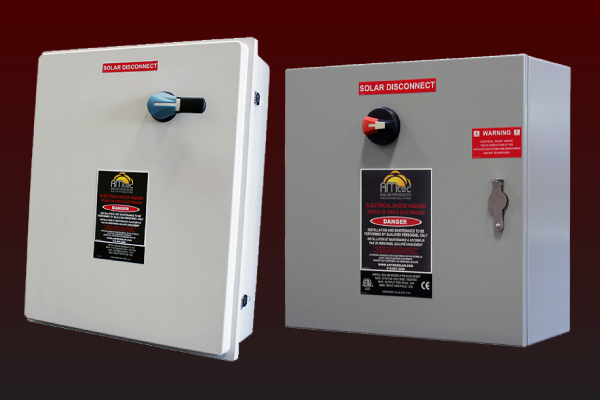 We specialize in the manufacturing of control and power distribution systems. Drawing on over 35 years of continuous operation and experience, we have produced products for a wide range of industries and customers. AMtec uses state-of-the-art design, tools, and manufacturing processes to produce products of unrivaled quality and exceptional workmanship, at competitive pricing and with unmatched lead times. NPD and rapid prototyping, BOM validation, build verifies, documentation programs, and configurations changes. More.. Automation to provide consistency, full verification / approach, custom or customer-provided procedures. More..
Control panel and power distribution solutions for food/beverage, manufacturing of all types, packaging, building automation, and much more. See examples. 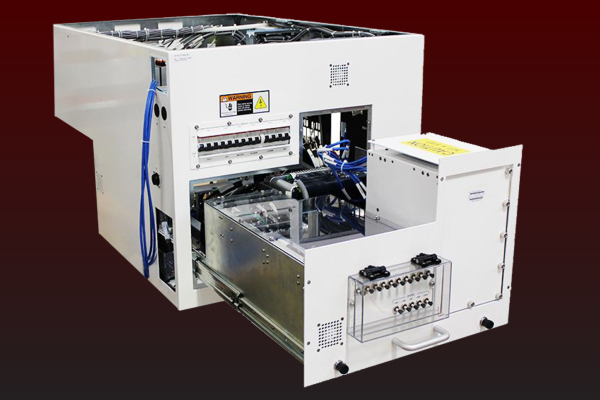 Balance of System products including combiner boxes, breaker recombiners, battery disconnects, disconnecting switch cabinets, and more..
▸ Click to see how AMtec re-engineered the manufacturing process for a dynamic product with numerous end-user configurations. In late 2016 there was a significant ramp in the semiconductor industry. Demand for one of our customer’s prototypes surged forcing us to rethink our manufacturing strategy. At the time AMtec had just implemented lean manufacturing and established two “lines” - one for semi-complex products and another for complex & configurable products. 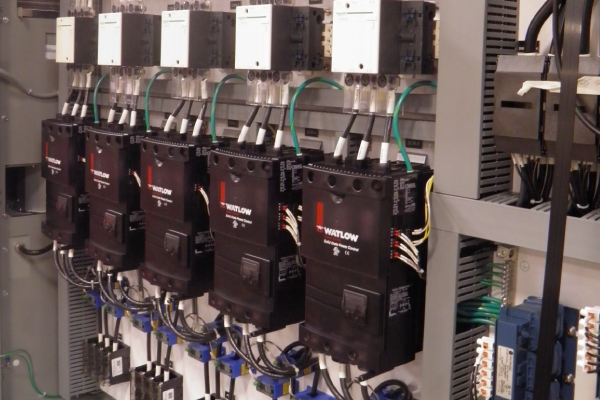 This product was a custom power distribution control panel with 60+ end item possibilities and customer demand changing daily so it was quite the challenge. AMtec’s manufacturing engineers dissected this power box into 7 operations of equal tact time. A large electronic sequencing board displaying real-time information was installed on the factory floor. The sequencing board provided build priority but also the details of each configuration. From that the team responsible for manufacturing the sub-assemblies “sub-line” knew which subs to produce and in which sequence. Completed sub-assemblies were loaded onto the bottom of mobile carts that also served as the work benches for final assembly. As each Operation was completed the carts moved in lock step down the line. Component material was delivered to point of use by our replenishment team at the end of each business day. All tooling needed to perform each operation was in arm’s reach of the technicians. From batch built prototypes to lean manufacturing, output increased from 3 units per week to 4 units per day! 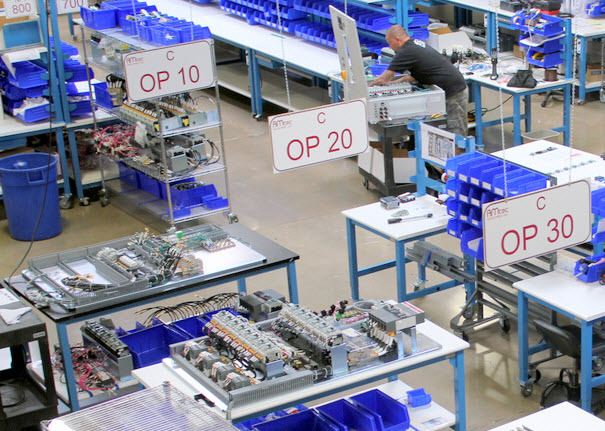 Click to see how AMtec deploys Lean Manufacturing and Lean Management strategies for superior results. 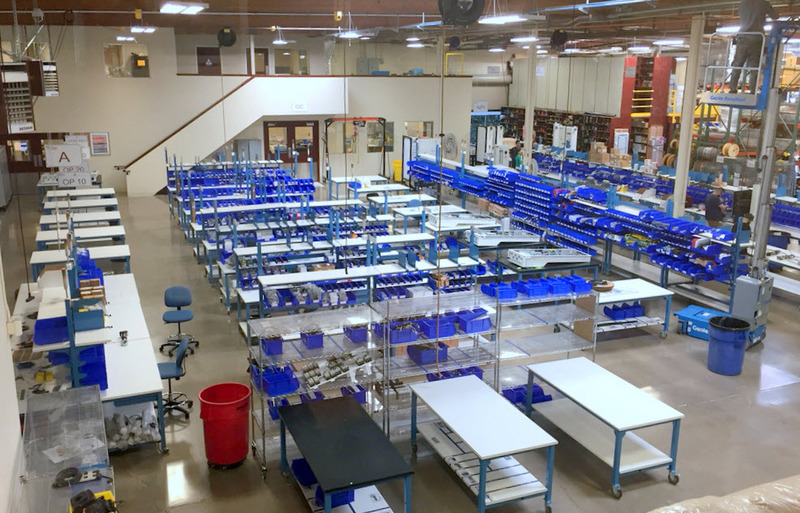 AMtec is proud to be one of the leading companies who have implemented the CellFusion Lean Manufacturing platform. At AMtec, Lean Manufacturing and Lean Management strategies shape, and streamline all business processes, as well as the entire organization, continuously, while modern technology and application solutions support all business processes throughout the plant, and between customers and suppliers. CellFusion Lean Enterprise Innovation is the most comprehensive and advanced end-to-end business application solution, for innovative companies deploying Lean Manufacturing and Lean Management. The CellFusion business application suite Value Stream Technology goes far beyond traditional Manufacturing Execution Systems, and does not only include typical MESfunctionality. It integrates innovation and engineering, logistics and material flow, personnel management and workforce flexibility, balanced manufacturing planning, and paperless operations with real-time workflow and visualization. Furthermore, operations-integrated T Q M and T P M as well as pro-active support applications, ensure pro-activity and action, instead of reaction, and the value stream information center takes care of consolidation and aggregation of strong bottom line results, real-time. Value Stream Technology integrates Enterprise Resource Planning, Supply Chain Management and Manufacturing Planning and Execution, merged with Lean Manufacturing, Lean Management, and advanced Business Technology, creating the best-of-breed for innovative manufacturing companies. Click to see how AMtec redesigned a customer's mission-critical assembly to improve the design for manufacturing. Our customer recently introduced a completely new assembly, designed to be configurable for each customer. What was supposed to be a common platform that promised savings via economies of scale and lead time reduction quickly morphed into one of AMtec's (and our customer's) biggest headaches. While this new design was well intentioned, our customer overlooked several aspects that turned the assembly into a highly custom, labor intensive build. Our "common" assembly was anything but- over 50 custom assemblies and harnesses for just one of the dozen plus sub-assemblies. Drop-in orders suddenly required new configurations - changes that meant retrofits to existing builds that required nearly complete tear downs of WIP. Production was inefficient, and in many cases could not keep up with ramping demand. AMtec met with engineers and supply chain personnel and offered to redesign the assembly to improve the design for manufacturing. Our primary focus was three areas: to reduce configurability, reduce build time, and to eliminate bottleneck areas- those "problem" areas of the assembly that due to space constraints took much longer to assemble than they should. 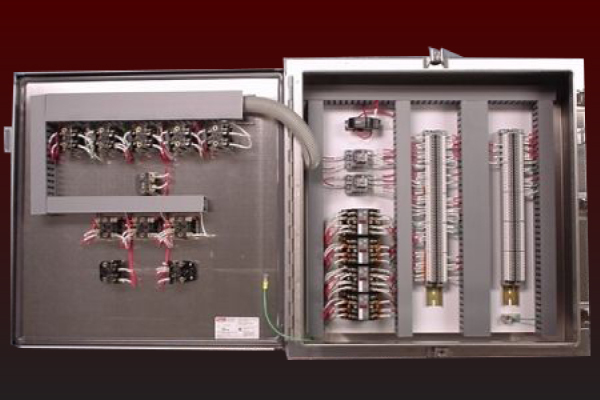 We were quickly able to address the largest issue by changing out wire harnesses for a common bussbar that was able to support hundreds of different breaker combinations rather than requiring a unique harness for each configuration. Hard-wired terminal block distribution circuits were swapped out with custom three phase bussbars. A total of 60 wires were removed, reducing sub-assembly time by more than 90% and allowing last minute configuration changes now that unique wire harnesses were no longer needed. Due to the high volume nature of this build, silkscreening was added to all custom parts replacing the 50+ labels that were applied by hand. Components were reconfigured to have shorter wire runs, custom metal was redesign to eliminate reconfigurations. When all was said and done, AMtec's new design reduced total labor by more than 20% while also reducing material cost by 6%. 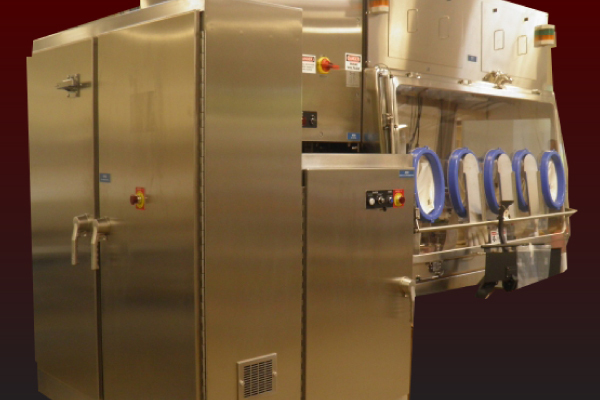 Our end result increased throughput, reduced cost and lead time, and resulted in a product that both AMtec and our customer was proud to stand behind.